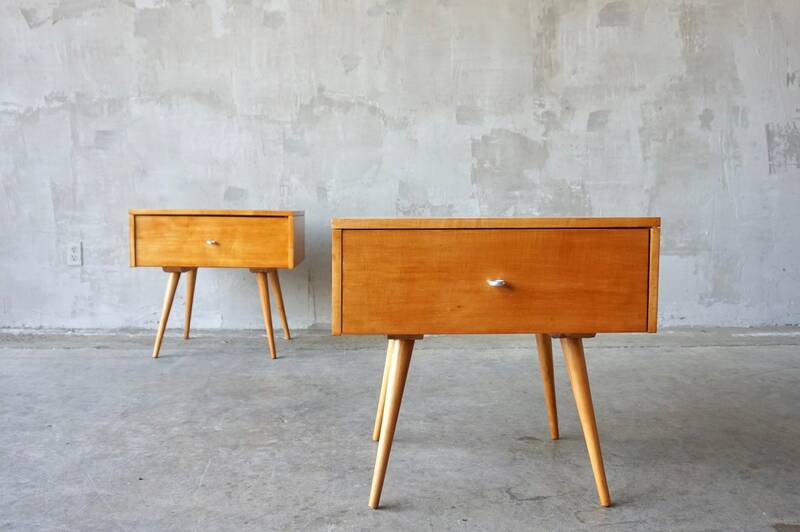 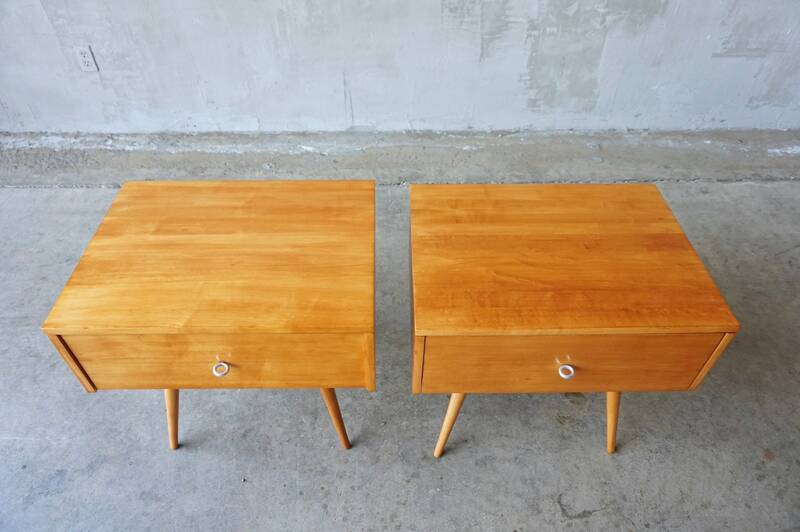 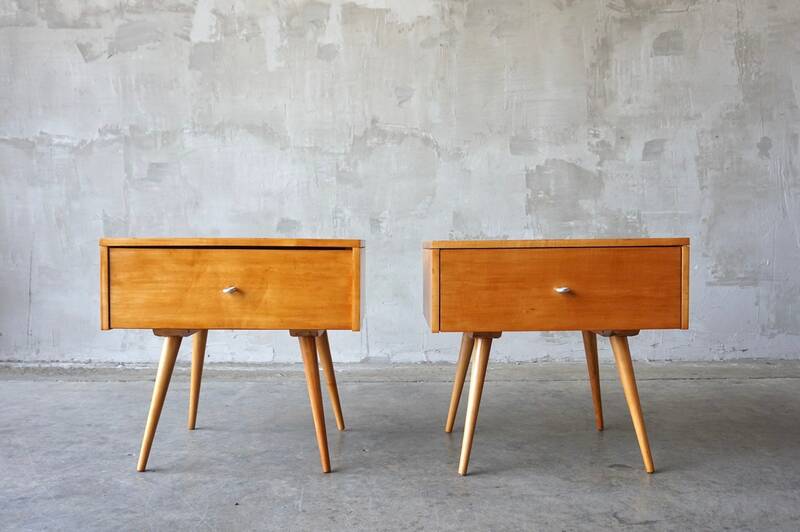 Great pair of night stands or end tables designed by Paul McCobb, c. 1950s. 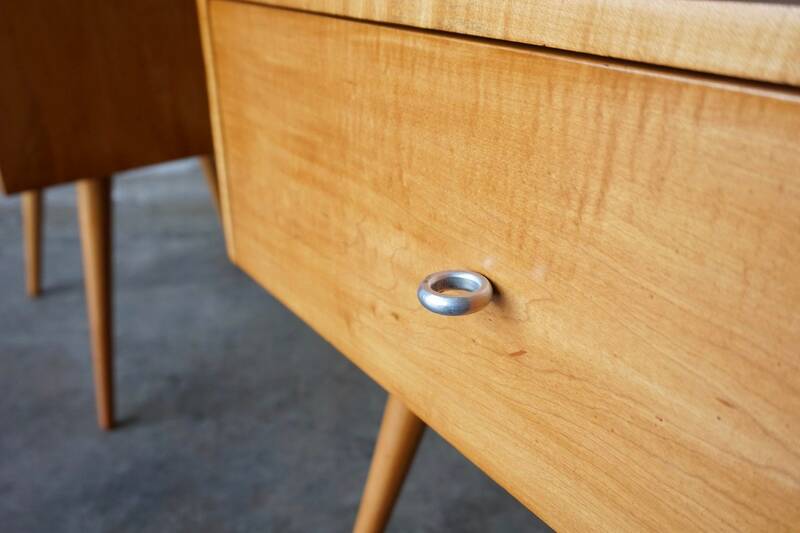 Constructed from solid maple with aluminum ‘ring’ pulls. 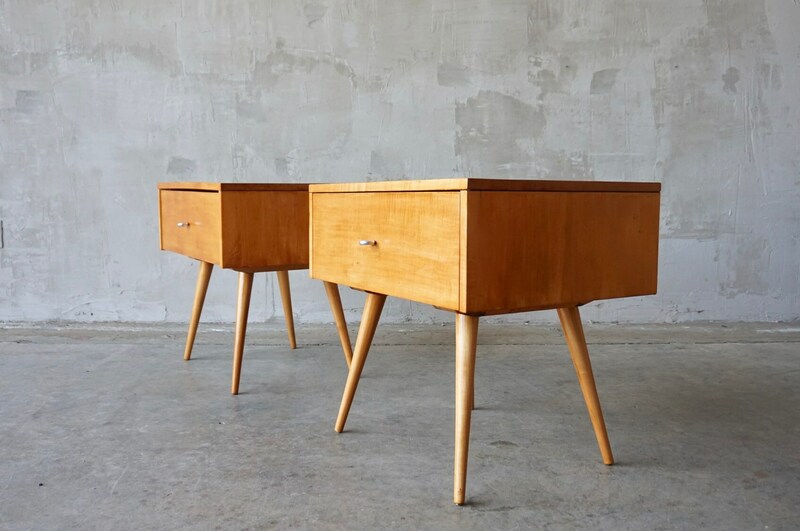 Each measures 24”W x 18”D x 22.5”H. 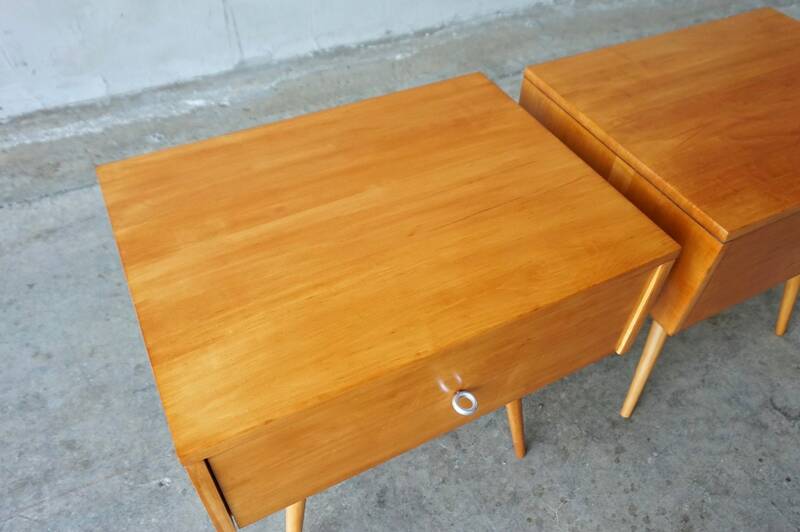 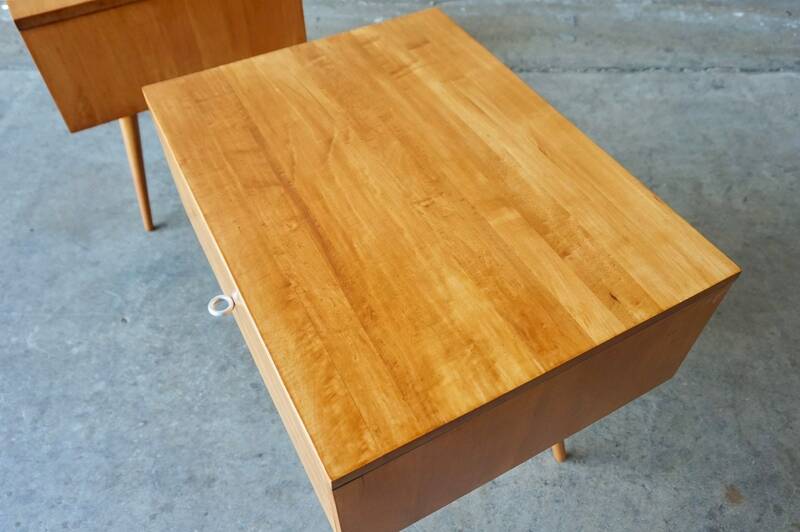 Both in nice refinished condition, with typical wear given age.